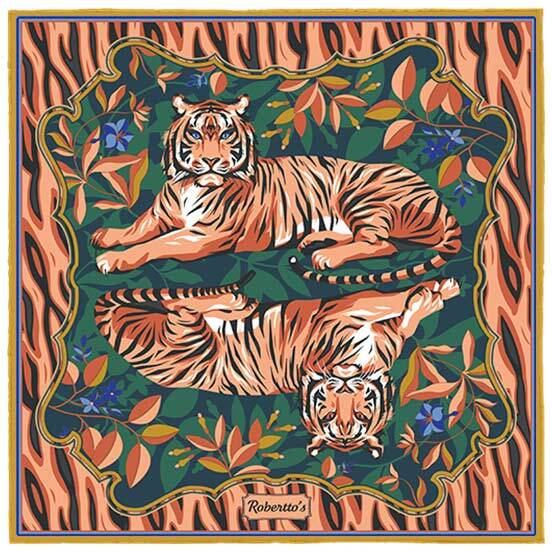 When it comes to the animal kingdom, few creatures attract quite as much fascination as the tiger. 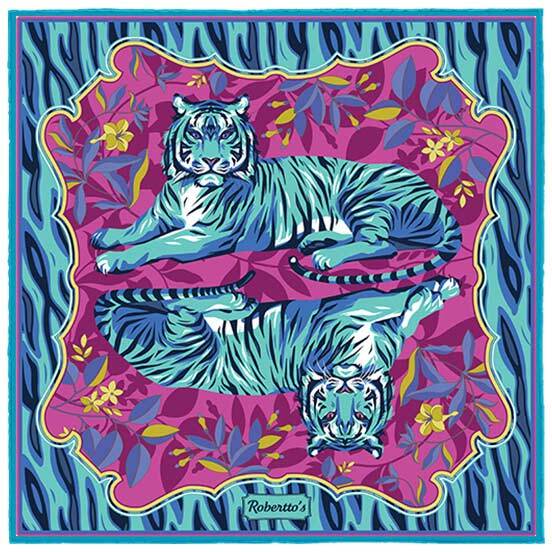 This majestic beast represents everything we have come to expect from the modern, style-conscious individual: a sense of serenity and power, a quiet confidence that comes from absolute certainty of their place in the world, and a visual impact which is second to none. 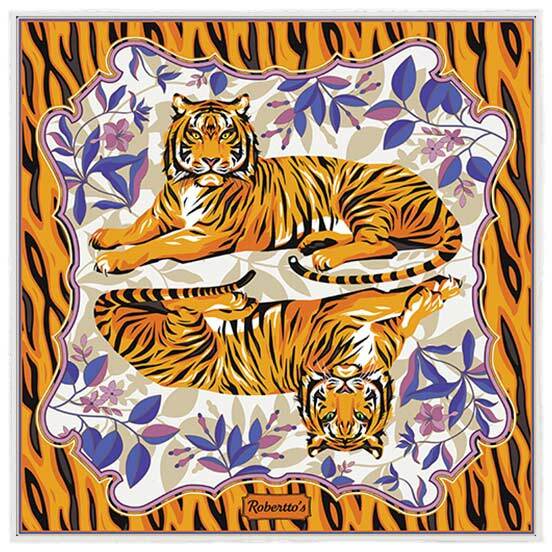 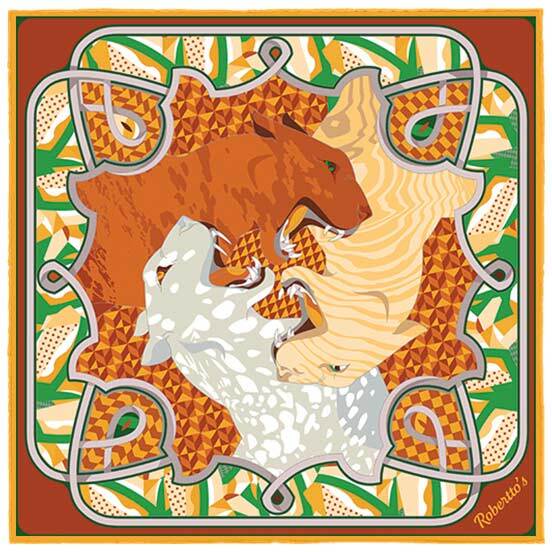 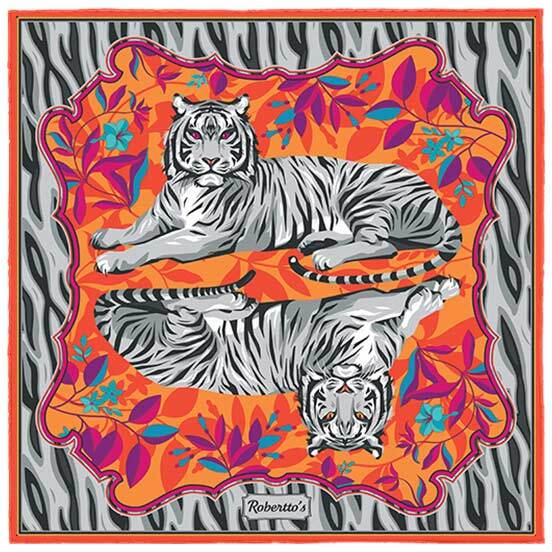 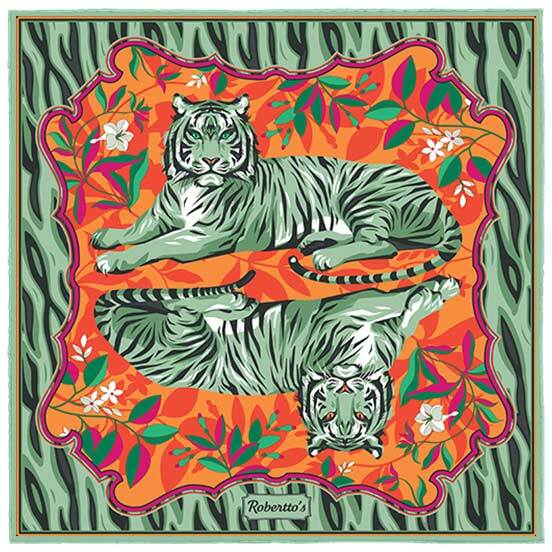 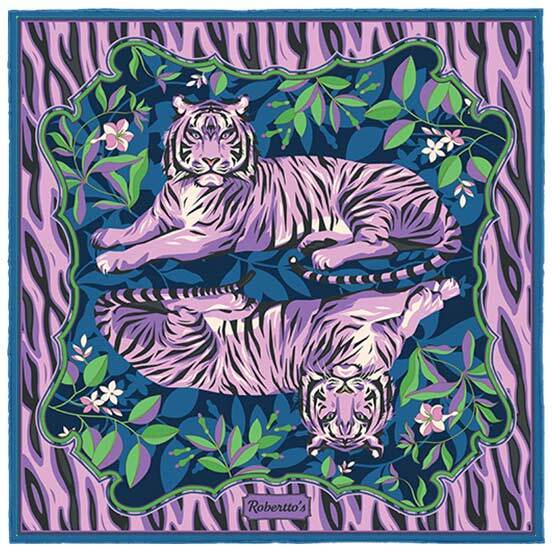 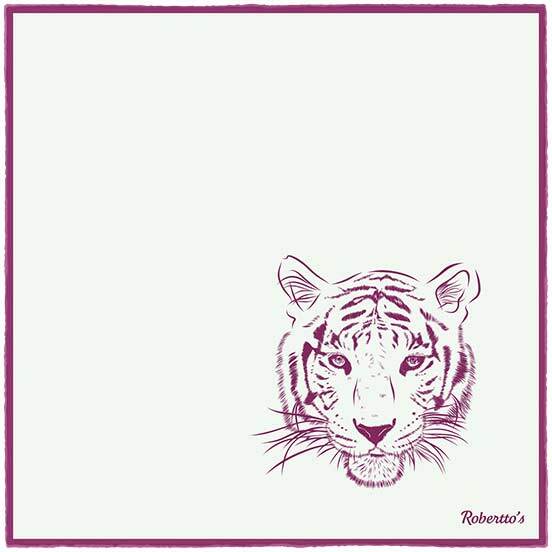 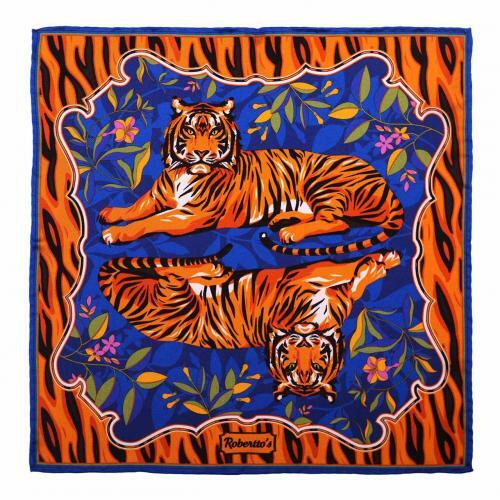 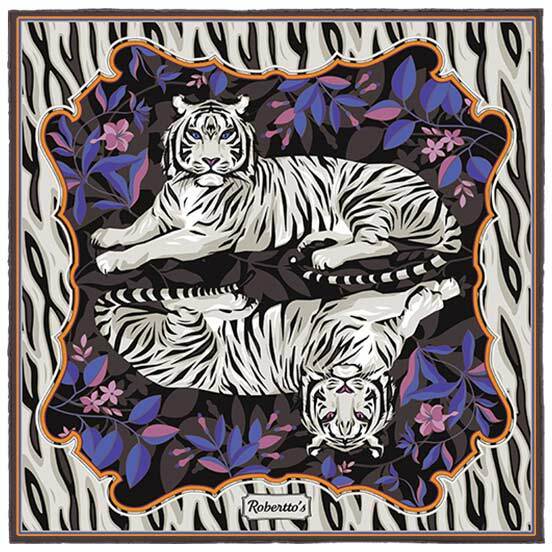 This stunning silk pocket square brings together the regal image of the tiger with a delicate, oriental floral background, and is finished by that iconic striped print against a vibrantly colored hand-rolled hem: a perfect design for the modern man or woman who knows their sense of style, and has no interest in compromise. 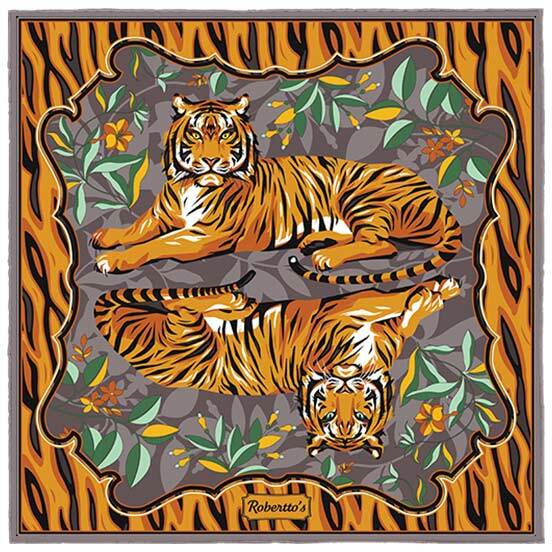 High quality pocket handkerchiefs are all about giving your suit that personal touch, that flash of individuality – with this powerful tiger design, you’re sure to make a bold statement, driven by the beauty of nature. 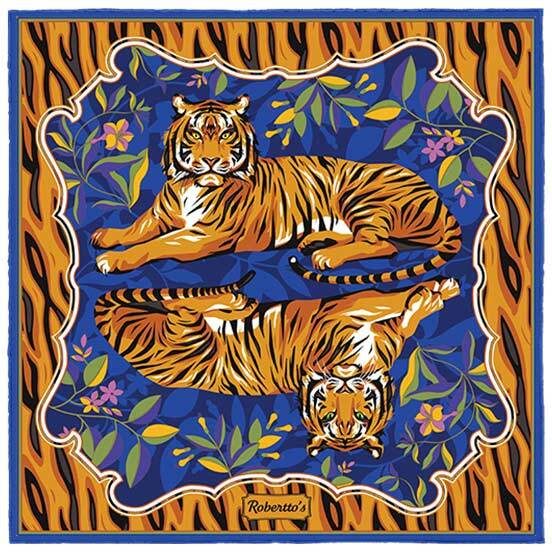 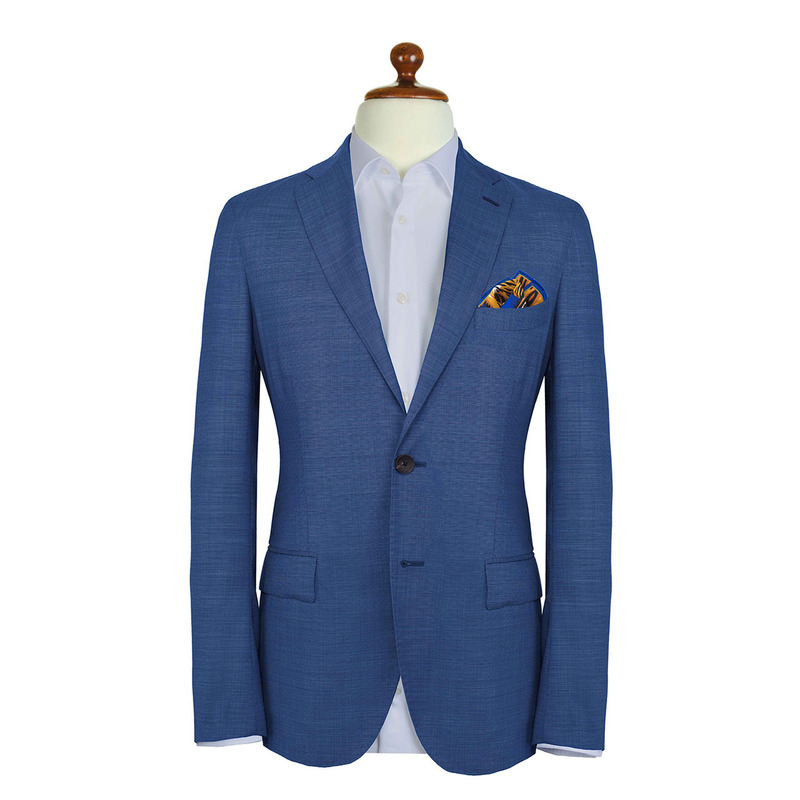 The vivid cobalt blue hem on this elegant pocket square allows the beautiful tiger design to leap out from the silk, making a powerful statement of style, sophistication and strength of character. 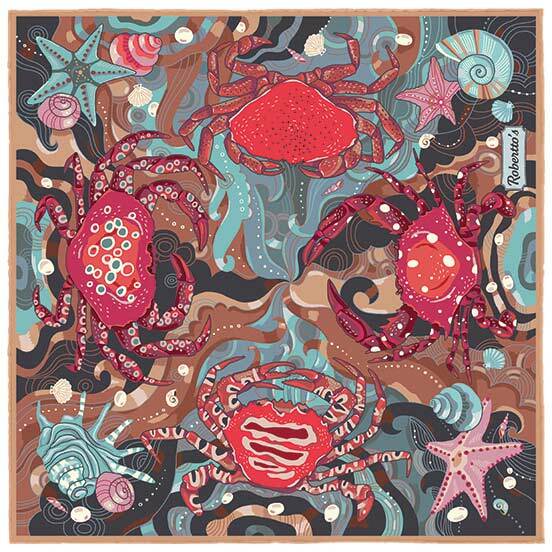 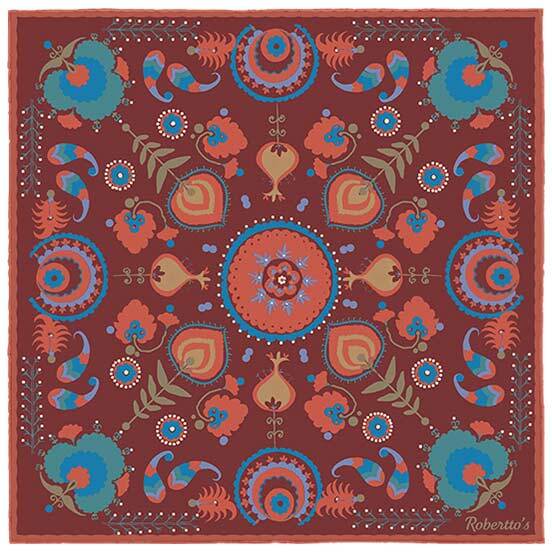 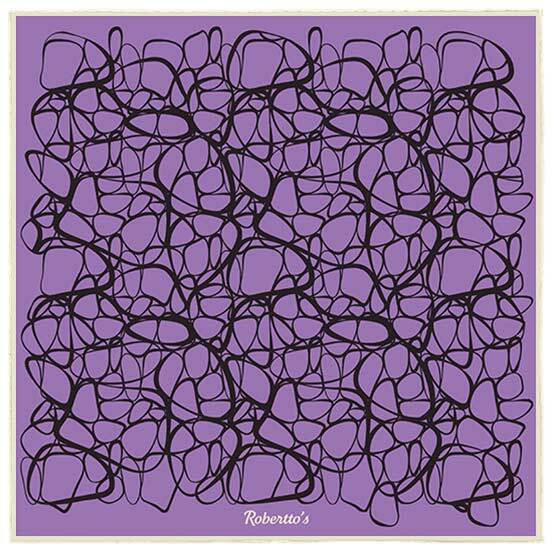 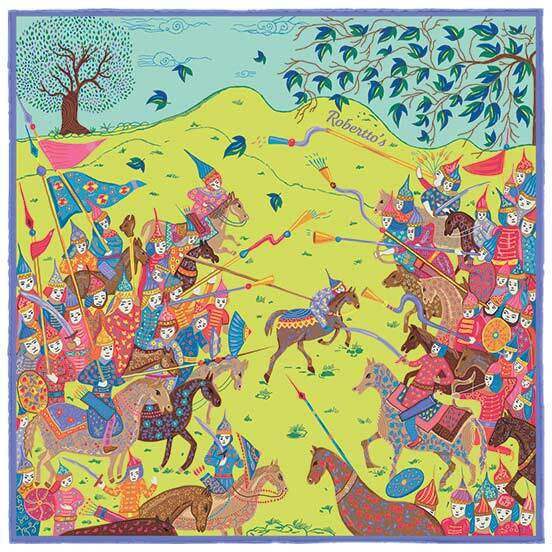 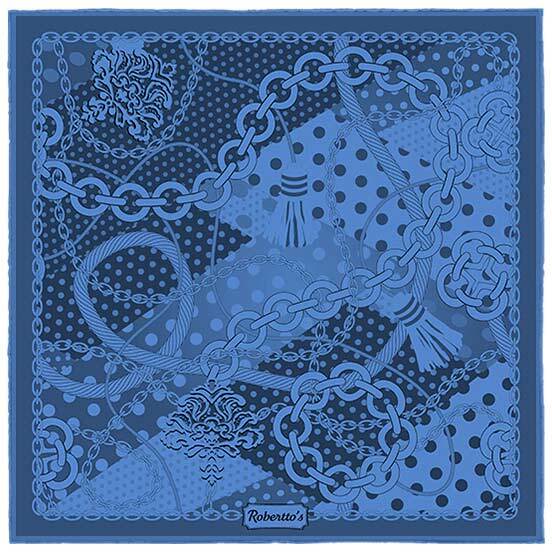 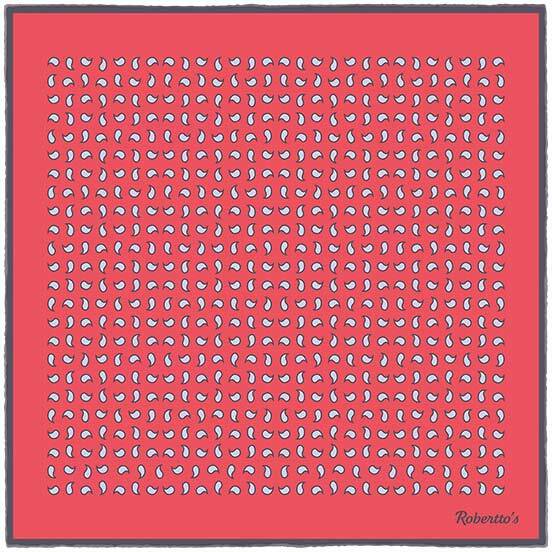 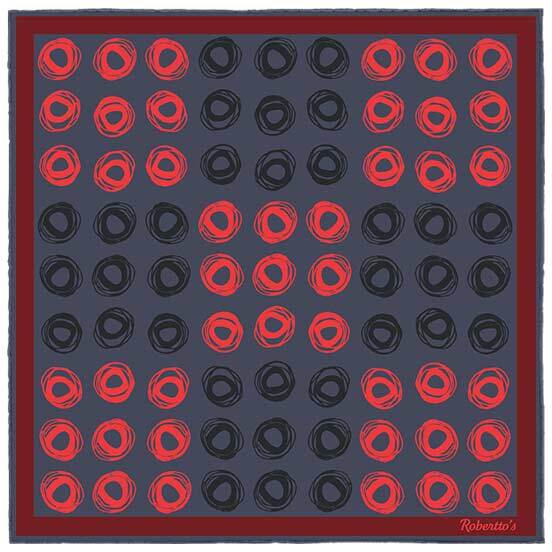 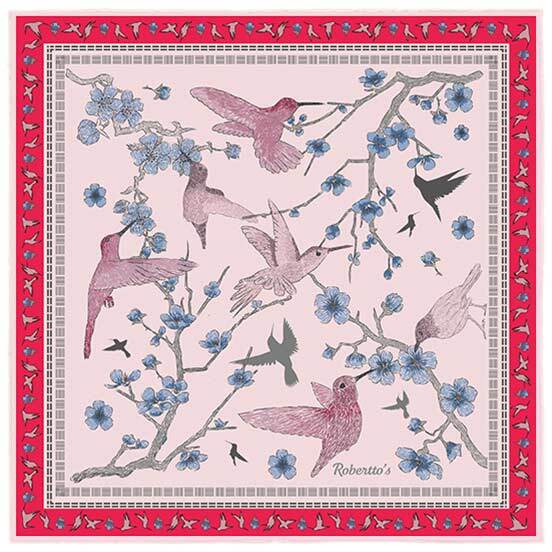 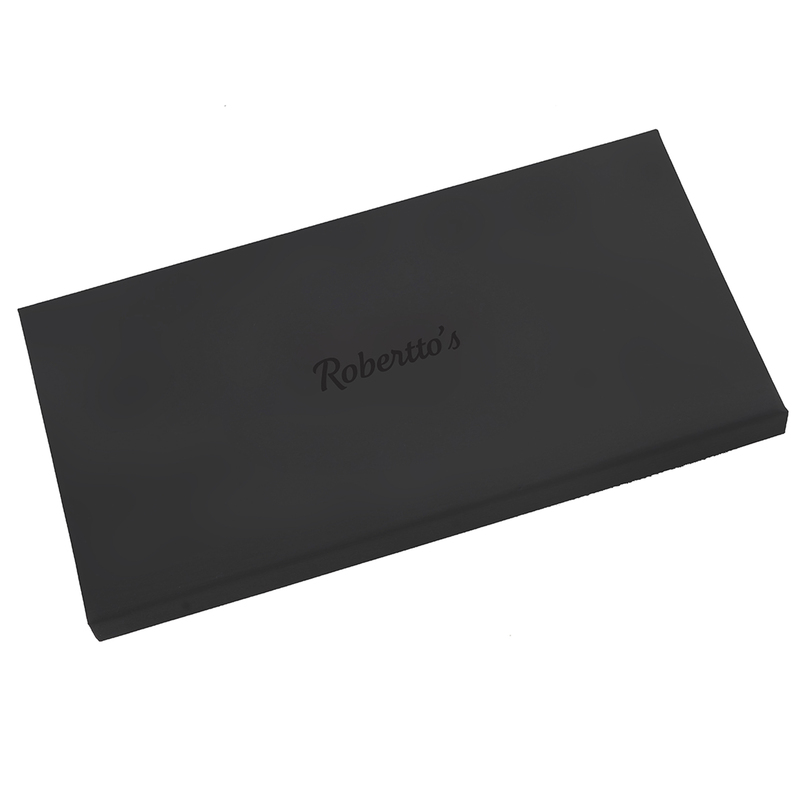 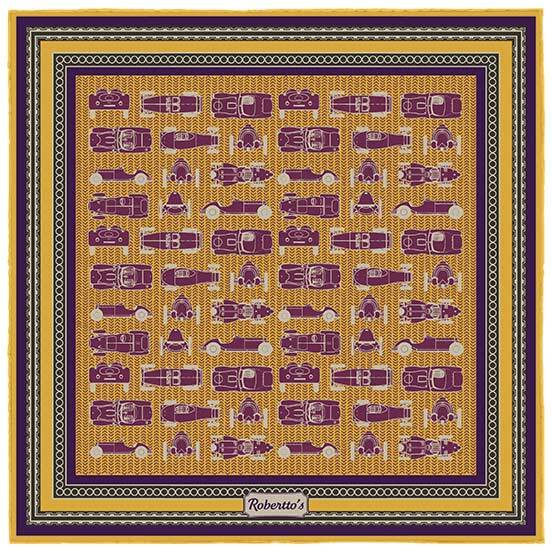 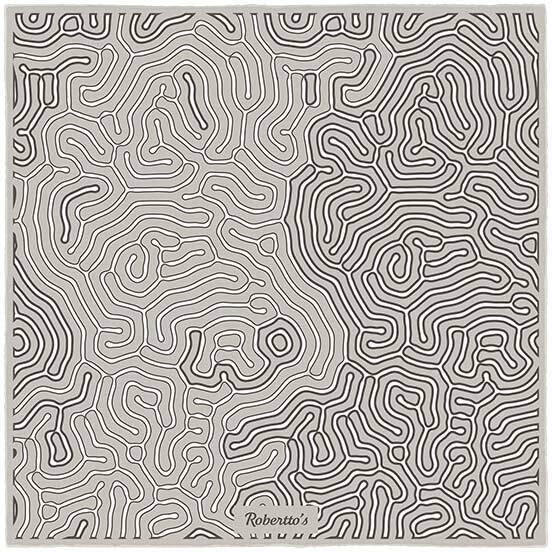 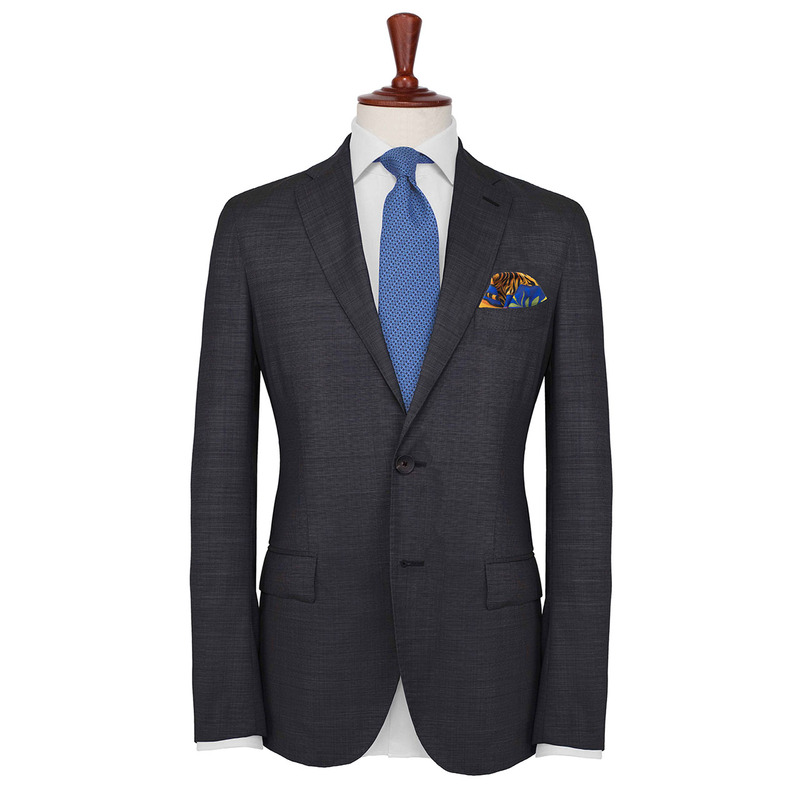 Here we have a pocket square of strong, contrasting colors, perfect for the modern individual looking to brighten their suit and make a lasting impact. 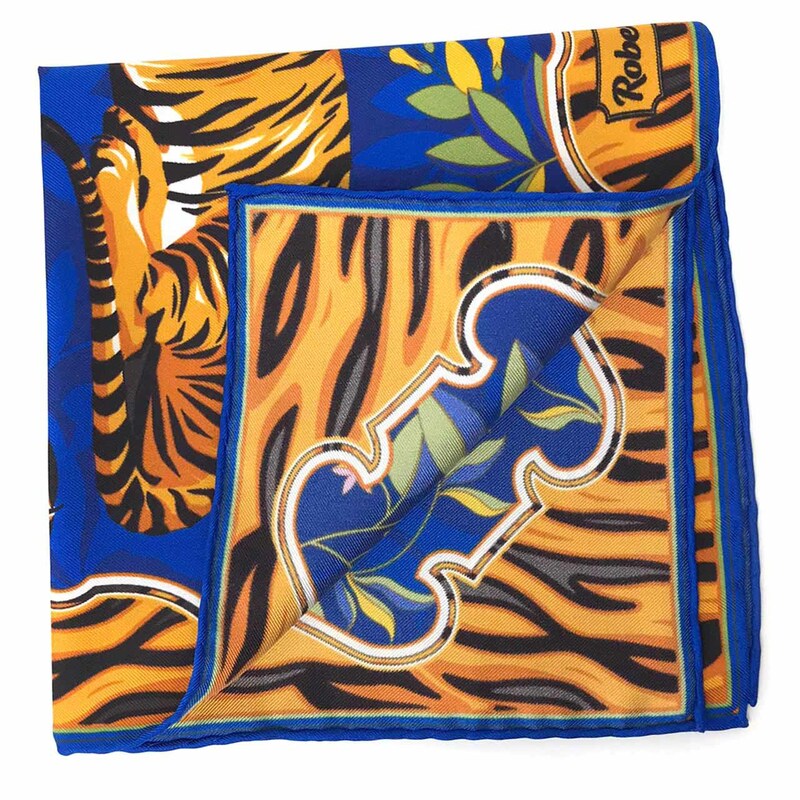 Pair this striking accessory with a charcoal suit, and complement those tiger stripes with a mustard vest and bow tie.